My mom's scooter was delivered today, right inside the door as promised. Thank you for your help in ordering; your expertise was apparent as you answered all of my questions. Your answers reassured me that I had chosen the right scooter for the job. At a time where customer service is sadly lacking in many places, you were the exception. I greatly appreciate it. I'd like to thank you for your courteous, thorough and professional assistance through this process of finding which product would best suit my folk's needs. As well as placing the order, confirming the information and following up. I wanted to follow-up with you regarding the Pride Lift chair. Thanks so much! My Mom uses the chair every day and her quality of life has improved. Thanks for all your help. Without your assistance it would have been very difficult to purchase the stair lift for my mother in law. Thank you so much for your help with our purchase of my mom's lift chair. Your guidance and patience made our decision much easier! I would like to take this opportunity to thank you for your professionalism. You made the ordering process easy for my parent's stairlift and bath tub. As you can understand, when people order things like this it is usually not a pleasant time in their lives. In this case, my mother just had back surgery and is in a tough situation. When I put my dad on the phone with you to get the measurements for the stair lift, you were very patient with him and helped him get the right information. You also answered a lot of my detailed questions and helped me select the right products to meet my parent's needs. I really appreciate your patience and excellent customer service. I just wanted to thank you for helping me get my wheelchair lift. It is wonderful. The installer did a great job too! This makes it much easier for me to get inside my home. My caregiver is grateful also. Just a note to let you know the stair chair lift arrived yesterday. The charger came Monday, and the carriage / track came last Friday. I went ahead and installed the track and carriage last weekend, so all I have remaining is to install the seat and charger, and then re-program the remotes so they do not interfere with the existing upstairs stair lift. I really appreciate your help, as I did not quite know how to cope with the basement door, and your solution works very nicely. Also, I am still going back and forth trying to decide between a battery powered stair lift or an AC powered stair lift for my basement. It will probably be a battery unit, however. I am really enjoying my GoldenRest Adjustable Bed and I get an excellent night's rest on it, sometimes I am shocked at how relaxed I am when I get up. I work at night so I really need a good night's (morning's) sleep. Right now, I am not in need of the accessories that you have suggested but if I ever do need them or know of anyone who needs them, I will definitely be giving you a call. I received my lift recliner yesterday, and they came and set it up today. I am very satisfied with the fabric. It looks great in my room, and it is so comfortable. Thanks for the good advice and the good service. The electric lift chair came today and my parents love, love, love it!!! My mom is very happy and that makes me smile - knowing that she and my dad love the chair is the best. My father said that the men brought the chair upstairs and put it together as well as took the old chair downstairs. I really want to thank A1 Medical Supplies for the great service you have given me and my parents!! Received the lift chair and put it together. I'm very satisfied with it. Thanks for all you did. The liftchair arrived yesterday 01/24/07 - 3 days after we ordered it for mom. We found it to be in perfect condition and everything you advertised it to be! I just wanted to thank you for your help and professionalism! If the opportunity should arise we will promote your company and your services gladly. Just wanted to say that we received the lift chair today. WOW, was I impressed. I ordered it on August 1 and received it on August 4. The chair is great, had a great price, looks great and I love the easy to clean vinyl. Most importantly, the elderly gentleman I ordered it for LOVES it. I run a home for the elderly and will definitely be doing business with you again. Thanks so much. Gentlemen: I just read through your testimonials, and what more can I say, except that you have another completely satisfied customer. The lift recliner chair is everything I expected it to be and the delivery was timely and efficient. You even provided a form to send to Medicare which is in process now. Thanks again for everything! I received my lift chair today. It's wonderful. Thanks so much. The electric liftchair arrived on Thursday, Jan. 22. It is beautiful, very useful and just right! Thank you for your help and prompt service. We wanted to thank you for the great service. The lift chair is beautiful and works very well. It is even better than we expected. Thank you! We have received the liftchair and it is great!!! Just received a very nice GL-358Mlift chair. Very impressed with the quality of the chair. I wanted you to know that Mom received the liftchair, and she is very happy with it. It was a pleasure dealing with you; you were prompt in answering my questions by e-mail, and ordering the chair was so easy, and delivery was just as you said it would be. Thanks again. I want to thank you for your excellent service. My mother (who is 87) is delighted. She has trouble walking, lifting or standing. My husband is 77 and weak from chemotherapy. I thank you for YOUR service and the lovely liftchair. 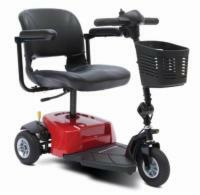 Dear Sir: I received my electric lift chair today, and I love it. I wanted the chair this week, and it made it. I am a very happy camper, and I saved so much money, you guys are GREAT!!!!! Every thing is fine, and I'm happy, thank you very much. Just a note to thank you for the great service concerning our recent lift chair order. The chair arrived as promised on July 3rd & was set-up by a very friendly technician on the 5th. The chair is the color & fabric we ordered, works well & has made my wife's life with multiple sclerosis a bit easier. Thank you for your excellent service & reliability. We received the lift recliner chair, it's been set up and my aunt really loves it. This is a great product that you're selling. Dad received his lift chair this AM and the tech came out by noon. It was a pleasure doing business with you. Everything we discussed happened, and in a very professional manner. Dad was so surprised! Talk about a happy camper, we fear he may wear out the remote control! He's very comfortable in the chair, he has more freedom when standing and the color selected was perfect. Dad really likes his new chair, he feels like a king. Thank you for all your help. Just a quick note to express my complete satisfaction with the purchase of the Pride lift chair. The entire process from on-line ordering to delivery and setup was flawless. The chair arrived within four (4) days of my original order and was delivered exactly to drop- off instructions. The delivery service was helpful in their effort to bring the chair in the house and unbox the chair. The next day the installer arrived and completed the set-up and provided operating instruction as promised by the delivery service. Comparing this purchase to my recent local purchase experience of a LazyBoy corner set I must say that your service was better. I will not hesitate to recommend your company and products to anyone who will listen. Thanks again! Back in mid December I ordered a TMR-49 lift recliner. It was delivered before X-mas and my in-laws love it. Thanks for a good product and great service. My brother and I recently purchased a TMR 570 electric lift chair for our mother. First I must say that it has been a great experience dealing with your company. The chair is well made and our mother loves the new mobility it has given her. Thank you! Our lift chair arrived today, everything in satisfactory order. Mom loves her new chair. Thank you for your assistance. Mother's liftchair came today and it is wonderful. She loves it. THANKS AGAIN! Dear Mr. Sheffer, The chair that I had ordered from your company was delivered today at my mother's house. I want to congratulate you and everyone concerned - the buying of this lift recliner chair could not have been a more pleasant experience. Your company representatives were on top of this each step of the way, from the inception of the order to delivery and set up. You notified me by e-mail when the chair would be shipped, another representative called and left word on my answering machine as to who to call for setup, and the trucking company CCX was more than accommodating after the arrival of the chair in Kansas City. I will recommend A1 Medical Supplies to anyone that has a need for your products. Thanks again, and please pass on my thanks to everyone involved. Was at my folks home this weekend and saw the lift chair you helped me purchase for my Dad. Absolutely first class. Thanks, again, for your help. Received the liftchair. It is outstanding and I am very pleased with the chair, the delivery & the setup. I have always bought locally, but your website intrigued me to purchase a chair from you. You have given me more than the local merchant - at a savings too. Thank you for the wonderful service, I will certainly recommend you to all my friends. In July of this year I bought an electric scooter via your online store and I can not tell you how much I have enjoyed it and still do. We took it on a cruise and I could scoot wherever I wanted to go, could even turn around in the elevator and get it into our cabin. It made the trip for me and I am still using it whenever I go to Las Vegas or when I go by plane. Everywhere I go people ask me where I got it, and how much it cost. The only thing I could tell them was that I got it over the internet and that it costs about $900.00. Even today, we went to a convention and a lady asked me where did you get that? And that is why I went to the computer and now know the name of the company and I made 2 copies with your name, picture of the scooter and the price. I am going to take these with me and give them to people when they ask. I do have a bigger scooter, the Victory, which is nice when we go camping and are in rougher terrain, or where the mountains are kind of high. But I get a bigger kick of riding the travel scooter, because I can scoot through any place and so far have not yet hit a pedestrian! About a year ago I purchased a Shoprider Scootie from you folks. I have to tell you that was the best money I have ever spent! The lady that uses it can get out and shop - otherwise she would be house bound. Greetings... Thank you soooo much. I am looking forward to riding my new mobility scooter! I will be able to go so many places because it is light enough and small enough because of the capability of breaking into small pieces. I really appreciate your attention to my order! I am so happy with the travel scooter I bought from you. I own an Amigo scooter also, but it is to heavy for me to put in the car. This new Scootie is just great. I will tell all my friends. Thank you! Just wanted you to know that the electric scooter arrived here safe and sound. My dad is one happy customer. Thomas I received the mobility scooter in good condition. It's just what I wanted; I saved money and you gained a customer. Thank You! P.S. You forgot the tire chains. We have plenty of snow. My husband's scooter arrived in 3 days, great service. It looks great and he loves it. Just a short note to advise you how happy I am with the medical scooter I ordered from you. I ordered the scooter on a Monday and it arrived in PA on a Thursday. Everything was exactly as advertised and I couldn't be happier. The Scootie was easy to assemble and I was riding it on Saturday. I am an ex-minor league baseball player that is now battling Multiple Sclerosis. Even with the MS, I am still mobile but tire very easily. With your help and the scooter, I can now make events that I basically gave up on. Again, thanks! Thank you Thomas Sheffer!!! The Shoprider Scootie made it to Wisconsin in 2 days. You are a very pleasant and helpful man and we appreciate every effort. I received the electric mobility scooter yesterday afternoon. It is beautiful! The Century Upholster fellow came right out and set it up. Super service. Thank you again for all of your help. I would recommend you and your company most highly. You are the BEST! I just wanted to say that it has been an enjoyable experience buying from this company. Everyone has been helpful and down to earth - not condescending like some places I considered doing business with. What a pleasure it has been to deal with your company. I have purchased 2 electric scooters and a Hercules 3000 vertical platform lift. I am so pleased with everything you have helped me with. I have really regained my freedom. Thank you! The Celebrity XL has given me my life back. Your service was great and I will refer all my friends to your great company. Thank you! My ramp is perfect. The service was great and we will tell all our friends. Now it is easy to get out of the house. Thank you! The Hi/Low bed for my husband is fantastic. The delivery company was so nice and courteous. Thank you. We just took delivery on one of your trailers last Friday. Could not believe how easy it was. The unit was totally assembled. All we had to do was hook it to the car and load Mom's scooter. Mom and Dad went out to dinner that night. Our only regret is we did not find your site sooner. Hello, Just a letter to thank everyone at your company for the great service we received. The products are just as good as advertised or better. The order placement was very easy and your people were very knowledgeable. The delivery was flawless, they even came on the date of our choice. We will tell all our friends about your company. THANK YOU! Thanks for the quick service, expert advise, and great price. The vertical lift is exactly what we needed to get my husband out of the house again. We will tell all of our friends about your on-line store. I received my adjustable bed today and to say I was pleased is an understatement! The bed was more than I expected in looks, comfort and performance. Mike Phillips was the salesman I talked to on the phone and not only was he was friendly, but also informative and extremely helpful. Thank you so very much! Received the Nova 4900 wheel walker a few weeks ago and I must say that after using the old two wheeled type walker, it was a wonderful experience for me. The areas where I could not have access to, are a simple task with this walker. Thank you very much. You have made my mobility 100% better. I just wanted to let you know I thoroughly enjoy this rolling walker I ordered from you after my total hip replacement. It has been wonderful as far as maneuvering around with the way it cuts corners, etc. The hand brakes are great too! I don't think I could have found a better product anywhere else. Thanks! Our adjustable bed was delivered and we are very happy with it. The in-home set-up was wonderful. We didn't lift a finger until we put the sheets on the bed. Thank you for the great service. My stairlift arrived today, what service! I got it in 4 days. The installation was a snap, as I am a retired mechanic. Just wanted to drop you a note and say thank you for the excellent service. I will recommend you to all my friends. Just a note to tell you my stair lift is great. Now I can stay in my house, where I belong. The installation you arranged went very well, it was worth every penny. Thank you again! The Summit stairlift is great, mom and dad both use it. I was nervous about the installation, but a friend of mine helped me and we got it done in a couple of hours. Thank you for the great customer service and we will do business with your company again in the future. Hello, just wanted to drop you a note. Mom's Jet 3 got here and it is wonderful. The whole experience was great, service was better than we get from our local dealer. I would like to let your company know that I received my Acorn stair lift. It is wonderful - my brothers installed it for me and now I can ride up and down the stairs all by myself. I don't have to wait at work anymore for someone to be home to help me up the stairs, now I come and go as I please. Again, thank you, you can't possibly know how much freedom your company has given back to me. 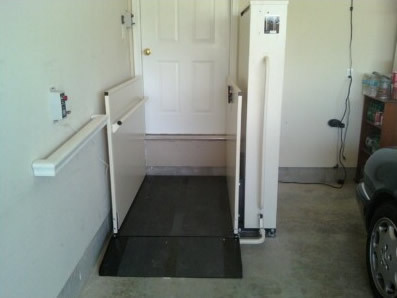 The stair lift installation went perfectly. What a pleasure it was to do business with your company. You made it so easy for us. The installer came and took the measurements and 2 weeks later we are riding up and down the stairs on our new Summit. It is better than you said. We will tell everyone we know about your wonderful company. The lift chair has arrived and it is beautiful and Mom is very happy. Your customer service is outstanding - it was here before we expected it to be here! Bravo!! I am deeply grateful for all your help. The stairlift arrived this morning, and the weather here was awful, so instead of putting up the hay we installed the lift. It only took us 1 hour and 1/2 to do it. Ma loves it and has been riding up and down the stairs all day. Thank you P.S. Let me recover from this one and I will get one for the basement. The 'Ameriglide' arrived safe and sound. Thanks so much for your wonderful service and for the great product (which you made affordable to us!). I left a '5-star' feedback on eBay. Bless you!!!! !